Bonn is on the verge of becoming a world-class conference city of enormous potential. After the economic reforms of the two decades following Germany's reunification, Bonn, the former capital of West Germany, is now experiencing a modern renaissance built upon its recent status as a designated United Nations City, which has generated much business for Bonn meeting venues. The city now hosts scores of international conferences, many of which are directly related to the work of the huge UNO Campus (next to the World Conference Center), from which the inter-governmental engagement against climate change is directed. 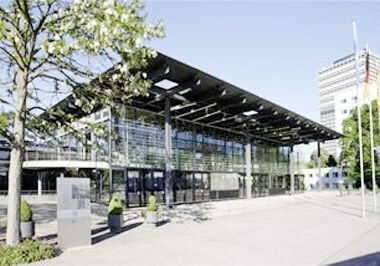 This complex already welcomes about 60,000 international visitors each year, bringing delegates from all over the world to Bonn. Bonn is situated at the heart of one of Europe's most densely populated regions. The modern Cologne-Bonn International Airport is only 15 km away and nearby Frankfurt Airport and Dusseldorf Airport can both be reached in well under an hour by high-speed ICE trains or the efficient motorway network. A massive investment program is being led by the World Conference Center Bonn, which has recently made its debut as a world-class conference center located adjacent to the United Nations Complex. One of the larger convention venues in Bonn, the World Conference Center Bonn is able to accommodate up to 5,000 delegates in a complex of buildings that comprise the historic Bundestag Parliamentary Chamber (where the German Parliament met from 1992 to 1999), the 19th-century Waterworks Meeting Hall and a range of inter-connected and state-of-the-art conference facilities. With 7,000 hotel beds within easy reach of the city center, Bonn's historic role as an international meeting place is also supported by a range of impressive conference hotels, including the Kameha Grand Bonn Hotel, a modern lifestyle hotel and events venue that can accommodate up to 2,500 guests in a range of high-tech exhibition halls and conference suites; an investment which represents a huge vote of confidence in the future of Bonn. 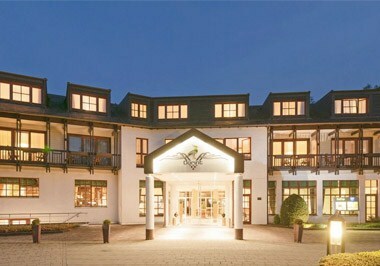 The Maritim Hotel Bonn has a large conference hall which can accommodate 2,800 delegates in sumptuous surroundings. Other important convention hotels include the Hilton Bonn and the President Hotel, both of which can accommodate up to 350 delegates in theater-style conference venues. An impressive collection of museums and cultural venues in Bonn can also accommodate business meetings and receptions. For instance, the Art and Exhibition Hall of the Federal Republic of Germany provides a stunning location for theater-style events for up to 2,500 delegates as well as world class corporate hospitality. The nearby Alexander Koenig Museum also provides an unusual venue for memorable corporate hospitality events. There is an exciting and varied nightlife scene in Bonn, too: with over 30,000 students living in the city, there are over 500 pubs and bars and some truly wonderful restaurants making Bonn a friendly and sophisticated city.